We've always been about building bikes that our own kids want to ride. Dirt jumping really grabbed our son's attention last year, so off to work we went on a shred-worthy dirt jumper with a bit of flash that doesn't completely break the bank. 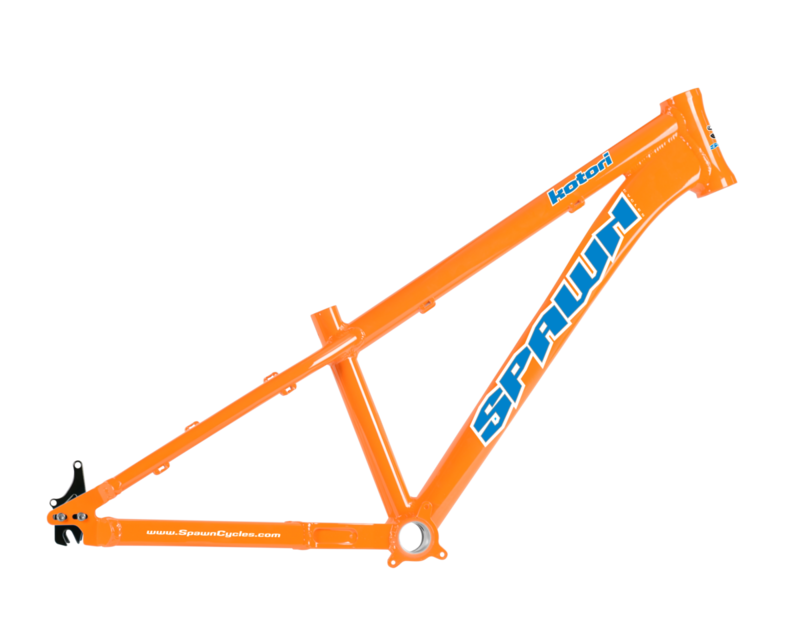 A burly 6061 T6 alloy frame with a hydroformed downtube, ISCG-05 chainguard tabs and sliding, bolt on rear dropouts. A legit, but versatile dirt jumper for groms! Build away!